"Highly recommended - heartwarming, well constructed, fun, cute moments available - our audiences loved it too! Just the right length for a children's musical if Sasha is on your short list GO FOR IT!!! " 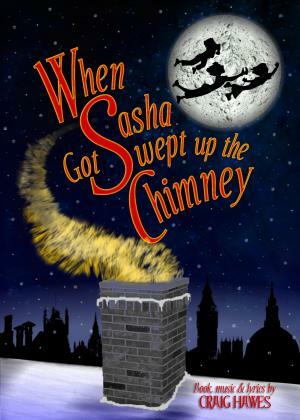 "I am going to be Harriet next Sunday and I am going to be really excited about being Harriet in the show Sasha got swept up the chimney and I am in scenes 1,4,6,8,9 and scene 10." "It's absolutely fantastic and I'm playing the part of tooth ache and I am so excited to perform it!" "It was amazing to be part this wonderfully produced play. I got to play the part of Ivy and Cupid. It was great fun. My favourite character was Tooth Ache though." "This year in this play I am playing the role of Holly - and I love it!" "i saw it in the first year of my school - I'm in Yr 6 and I am Charlie the sweeper and i am so excited. The teachers helping us are Mrs Scott, Mr Simpson, Miss Merylees and Mrs Docherty who are working so hard to make this production memorable and making sure we all have lots of fun. So all i can say is thank you so so much x "
"I really enjoyed this prodution. I recommand this to all schools!!!!! I am playing Tom! I've got lots of lines to learn but they are really easy to learn!!! " "My school did this as our Xmas play in 2008. I got to play Sasha and it was incredibly fun. I love this play and I really enjoyed performing as Sasha. " "I played Tom and it was 10/10 - I mean 10/10! BRILLIANT! So if you get chance to be in it - do it! " "It is so good! I am 4th grade and I'm doing the role of Harriet!" "We are about to perform the second performance of this Christmas show. I recommend this. "